Disgraced Assistant Police Commissioner Mario Tonna has stepped down following a report of domestic abuse filed by his partner. 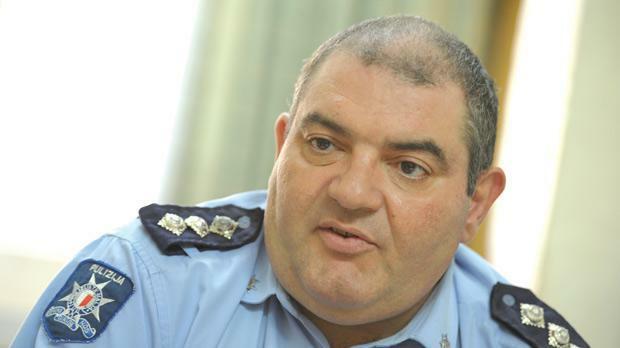 Mr Tonna tendered his letter of resignation, which was subsequently accepted by the Police Commissioner, Times of Malta is informed. The woman filed a report at the Sliema police station on December 28 after Mr Tonna physically assaulted her during an argument, headbutting her in the process, according to a story first reported in In-Nazzjon. She also reported it was not the first time she had been physically attacked by the policeman. The same newspaper on Tuesday reported that the assistant police commissioner also has a serious drinking problem. Mr Tonna is responsible for coordinating traffic in the country, as well as being responsible for the police garage and mechanical transport section. A police source who spoke on condition of anonymity, told Times of Malta: "We are relieved. He was a disgrace to the corps, a man who should never have been promoted in the first place". Back in 2011, Inspector Tonna had been found guilty of various criminal offences, including intimidating and harassing his superior, Superintendent Carmelo Bartolo. Mr Tonna had been found guilty of various offences against his superior in 2012, yet he was first promoted to the role of superintendent in the summer of 2015 and then given the role of assistant commissioner last June.